A cost effective alternative to shipping wheat by barge. Cole Riggers, responding to your recent letter in the Lewiston Tribune, are you blind to the costs you and other “captive shippers” impose on your neighbors, other Northwest citizens and federal taxpayers so you can barge wheat on the Snake River? 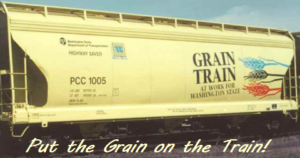 Taxpayers spend millions annually subsidizing grain shipments by barge. Home and business owners across the Northwest pay higher electricity rates to cover the costs of required fish mitigation so you can ship wheat by barge. The owners of hotels, grocery stores, gas stations and sporting goods stores lose business because the lower Snake River dams and reservoirs damage fish runs. Entire communities, like Riggins, suffer economically. Loggers, truck drivers and mill workers experience lost timber sales because Idaho salmon and steelhead remain in jeopardy of extinction. Lower Snake River farmers, ranchers and recreationists lost 20,000 acres drowned by reservoirs. Your Nez Perce neighbors lost much more. The resident orcas in Puget Sound are starving and threatened with extinction. With 140 miles of Snake River riverine habitat destroyed, 85,000 songbirds and 110,000 game birds disappeared. Janice Inghram’s letter suggests two interesting questions. If one or more locks on the lower Snake became permanently inoperable, would you stop growing wheat? Secondly, if “captive shippers” had to pay even a third of the subsidies required to operate and maintain Snake River barging, would they stop growing wheat? 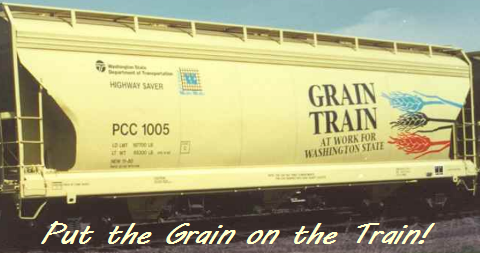 Like Inghram, I suspect “captive shippers” would instead invest in rail, like Palouse Prairie farmers did with their cooperatively financed McCoy Unit Loader.